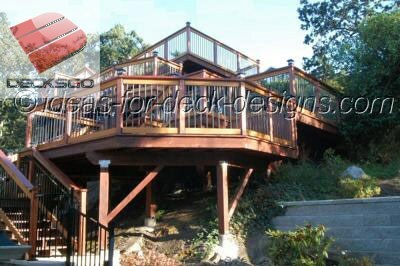 How does one approach building a deck on an incredibly challenging lot like this rocky cliff? With a bit of planning and patience. This was built by one of our visitors and is proof that almost anyone can build with the right planning.